Super bantamweight Glenn Porras is in training and looking to get back in the win column as soon as possible. The southpaw is making his way across the globe to train in Coachella, California with Marcos Caballero. Porras, (31-7, 19KO) from M’lang Cotabato, Philippines, began his career in 2004, had a 15 fight win streak spanning from 2008 through 2012 and won the Asian version of the WBC’s super bantamweight title via knockout win over Noldi Manakane in November 2017. 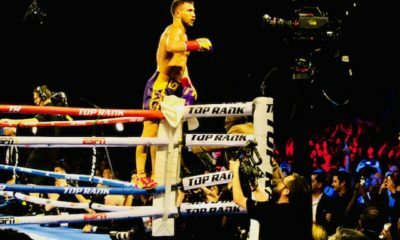 In his next fight, Porras found himself in trouble early against Emmanuel Navarrete and was stopped in round two in January 2018. 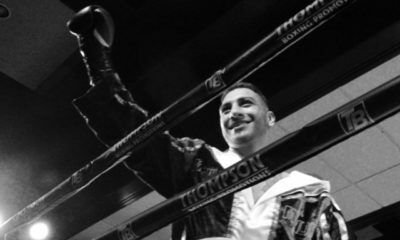 The one-time fringe title holder now looks to get back into title contention by moving his camp to the United States at the Coachella Boxing Club owned by Lee Espinoza. Porras is managed by Francisco Calderon and is promoted by New Champ Promotions. Can ‘The Rock’ fight his way back near the top of the super bantamweight division?